Kos impresses the visitor from the first moment that he sees it, whilst still on the boat. A little later, as he wanders around the spaces of historical and cultural memory, he finds himself in the shade of Hippocrates' plane tree, among the imposing buildings dating from the Ottoman period and that of the Italian occupation of the island. Here he will admire the ancient tree and recall the father of medicine, Hippocrates. Descending in his car from Antimachia for the city, the picture is quite different. A sunny and open countryside with haystacks in the plains, which stretch down as far as the sea.From the opposite side of Mesaria, reaching as far as the foothills of Mt Dikios, there is a plain with small hills, vines and vrgetable gardens, producing mmainly tomatoes and also a few other garden vegetables, reminders of the island's rich produce of water and honey melons. Tobacco and sesame, the main produce of the island's residents in the first post-war years, have now become history, just as the rich produce in tomatoes, with seven tomato puree factories, at one point, is almost history. The Great growth in tourism means that Kos's recent past of farming and live-stock rearing, is today almost over. The social changes that followed also explain that change which has taken place in the social and economic structure of Kos from a rural to an urban-tourist society. The domographic changes, especially the settlement on the island of populations from other parts of Greece and even from abroad, in order to serve the increased needs of the tourist industry, have changed the social structure of the local population. A population which was made up primarily of indigenous Koans and a few Muslims, who were employed in live-stock rearing. A multi-cultural population mix of great interest is being invited to take a new role in the history of the island. It is being invited to go forward hand-in-hand with tradition, customs and practices and to guide the island to a new reality. In a place which is aware of its culturale roots, any change can be strong and stable only if it involves a creative absorbtion of outside elements. This should always be a matter of partnership and never never a matter of something new coming to predominate or something old being done away with. This is why Kos inspires wonder. Because it knows how to evolve. As with most of the residents of the Greek islands, the Koans are friendly and peace-loving people. Many of them impress with their diligence and hospitality. In the villages especially, the spirit of helping each other and cooperation that was prevalent during the years of subjugation to foreign rule (prior to 1948) is still strong. Despite the great growth of tourism, the desire to be helpful, the sense of honour and humanity, have not abandoned the Koans. Kos is a rich island and the residents who make their living from it do not have especial problems. Kos is one of the most fertile islands of the Aegean and until the 1960s most of the residents, abouth fourfifths, were involved in farming and live-stock raising. Today around half of the working population works in hotels and the tourist industry. There are 270 hotels, with 6.500 three-person rooms containing around 70.000 beds, which employ 7.800 members of staff for five to seven months of the year. One section of the population (around 1/5) is employed in farming and live-stock raising. There are also areas of flat land in Kos where garden vegetables, such as tomatoes, water and honey melons, courgettes, aubergines, okra, beans, lettuce,etc. are watered and grown. There are 16 greenhouses which provide the local market with early garden produce. The provision of grants has resilted in an increase in olive growers (2000) in the past few years. The olive orchards cover an area of 25.000 m² with a total of 650.000 trees. There are also three modern olive presses. The island also produces cereals, wheat, barley oats and corn. The live-stock farmers grow clover, vetch and other plants with which to graze their animals. There is also a distillery on Kos, two dairy-produce factories, two fizzy drinks plants, a tannery and several small industries which employ several dozen workers. 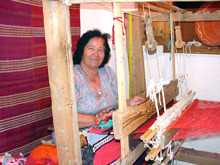 One of the foods prepared by the housewives of Kos are the 'Pittaridia'. These are made of dough prepared with flour and water, just like the noodles know as 'Chilopites'. After kneading they roll it with the 'Pittarido-stick', cut the dough into long pieces, sprinkle it with butter and myzithra chesse and cook it in meat stock. It is usually served on the eve of a wedding. Another local dish is the 'Pasa-makarona', a type of pasticcio dish, i.e. with layers of mince, cheese and béchamel sauce. This particular dish is made with home-made filo pastry leaves, the dough of which is prepared with eggs. The filling is made with pork mince and fresh myzithra cheese. Before being cooked the pasa-makarona is sprinkled with meat stock and milk. It is usually eaten during the Easter carnival. The local cheeses of Kos (at Kefalos) are put into the 'krasi' (wine) or the 'tyria', i.e. in the wine sediment. These red cheeses, are they call them, are very tasty and make delicious cheese pies and other such dishes. At the fairs of Kos they often serve, in addition to the other dishes, 'yiaprakia', i.e. dolmades wrapped with vine leaves. In the western villages of Kos, moreover, they make 'marmarites'. These are made from a special gruel which is cooked in individual portions in preheated marble dishes. They dip them in beaten egg, fry them in pork fat, and drench then with grape-juice syrup. Marmites are usually eaten during Epiphany. Another dish that many housewives still make in the week before Lent, is the 'Katimeria'. These are made with home-made filo pastry leaves cut into square or round pieces and which are then filled with myzithra and egg, fried and then drenched with syrup or honey. One of the sweets that the housewives of Kos make, especially at Christmas and |New Year, are 'Sarmousades'. These are made with either walnuts or almonds that are wrapped in home-made filo leaves and sliced into a diamond-shaped portions, like a baklava. They are cooked in a large pan. The islands residents still maintain many of the old customs. Typical is the custom of 5th September: before sunset, the houswives take two wreaths, an old and a new one, of pomegranates, grapes, garlic, an olive branch, and leaves from the plane-tree of Hippocrates down to the sea. They trow the old wreath into the sea and place the new one at the edge of the water, so that it will be lapped by forty waves. Holding the new wreath, "the beginning of the year", as it is called, and a pannikin with sea water and pebbles, they pass by the plane-tree of Hippocrates, where they clasp its trunk in order to take strength, weight and years from its years. When they return home they hang the wreath on the iconostasis and sprinkle the rainwater with the pebbles in the corner of the house to protect against the dangers of wagging tongues. Another custom which is maintained by some farmers is the "swine-slaughter", which takes place in October or November. Relatives and friends are invited and, after the slaughter and portioning out of the pig, delicacies are cooked, barrels of wine are opened and a party follows. This custom has recently been bolstered by local associations, who invite many guests. On 30 November, the feast of Saint Andrew, or Agios Andreas, Many housewives prepare "akoumia" that is "loukoumades" (a kind of doughnut), which they send to friends and relatives. On 4 December, the feast of Agia Barbara, they make "varvara" with cooked wheat, tahini, currants, sesame, walnuts, pomegranates, cinnamon and othe spices. In this way they honour Agia Barbara, who is considered to protect children from smallpox. Carols celebrating Christmas, New Year and the Epiphany are still sung by small children in the homes or by groups of schoolchildren or youngsters with musical instruments in the street. On the day of the Epiphany, large crowds of people congregate in the churches and on the beaches during the asperges and the trowing of the cross into the sea. The "Apokries", the carnival celebrations during which meat is eaten just before Lent, are celebrated with gatherings in the houses of relatives, meals and carnival songs. For the musical instrument they usually us a round, metal dish called a "lingeri" or a "vatselli". Children and youths dress up as "kamouzelles", i.e. in masquerade, and they go around the houses and cafes teasting each other and playing out comic sketches. In the villages they prepare the "kokkala", the skull of a donkey. They dress it in a sheepskin, hang bells from it, place it on a cane and pass a rope through it so that its jaws open and close. It is held up by someone who is masked and wrapped in a rug, and he and his friends take the "kokkala" around the houses. On the Saturday of Lazarus, many houswives prepare the "lazarakia": using a special dough, they prepare long and narrow small breads, fill them with ground currants, sesame and aromatic spices. They shape them into the figure of a shrouded man, just as Lazarus is represented, stick two cloves in as eyes and cook the breads so that the whole family can eat them during Easter Week when they are fasting. The feast of Agios Georgios on 23 April, is always celebrated with horse races at the Gate of Kos. The feast of Agios Ioannis on 24 june is accompanied by the custom of the fire ("of the torch", as they say) and the ivy. In the past few years, aside from the gardens of the houses, the custom of the torch is also celebrated in the central square of Kos town by the local section of the Lykieo Ellinidon (Greek Girls' Lycée). Young and old jump over the flames of the fire. This followed by local dances, watched by many visitors to the island. The list of the Name Days celebrated in this area. The traditional men's costume of Kos features primarily the island breeches (vraka), either in blac or blue, the shirt, the velvet "yialeli", i.e. sleeveless waisstcoat which was cross-buttoned, and the "zaka", a short coat with sleeves that was not buttoned up at the front. In the winter, instead of the zaka, they wore the "patatoukla", a woollen belts with green or black embroidery. On Holidays and feast days many men would wear white belts with stripes and fringes around their breeches. On their heads they wore a fez or a cap mede of black velvet. Villagers had three types of shoe: The "yemenia", shoes made of local leather that covered the whole foot and with thick soles, which were worn when working; the "jesmedes", which reached up to the knees and were worn at celebrations; and the "papadistika", similar to today's shoes, which were worn mainly by the elderly. The women of Kos wore a white linen tunic which fell as far as the ankles. Over the tunic they wore the "yileki" or "kava(d)i" the sleeves of wich were longer than their arms and which they would roll up. Above the yileki was worn the "tabaro", a coat woven of silk, usually worn only by the rich women. Instead of a "tabaro", the poor women would wear a thick short coat or the "babakli", a short coat made of two layers of material filled with cotton and sewn with thick stitching. On their heads they wore - and some still do - a "tsemberi", a thin headscarf with coloured patterns. When working out in the open in the summer they wore the white "herelli", or "tsemperi", which were woven in wool so that they would not burn from the sun. Young, single women often also wore the "koutelliti", a thin white ribbon which they tied around their foreheads. The well-born girls, on holidays or on their wedding day, wore the "tsakki" on their heads, a valuable headscarf woven from pure silk with floral embroidery. On their feet they wore velvet-embroidered slippers or short leather boots. In the summer they wore the so-called "wooden" sandals with wooden soles. Today these costumes are no longer worn except on parades, traditional festivals and certain cultural events, such as those that are organised by the Lykieo Ellinidon of Kos, which works with great devotion to keep the traditions alive. Kos has a rich musical tradition from antiquity. In Hellenistic times, Kos produced 20 artists (singers, kithar players, flautists and harpists) alone, that is half of those from the Dodecanese as a whole. During the Byzantine era, religious music had a great influence on the musical tradition of the islands. The Franks (western Europeans) who occupied the Aegean after the Crusades brought new musical and poetic forms with them, such as rhyme, and musical instruments such as the violin. Frankish rhyme blended with the pure Greek element, the iambic fifteen-syllable metre, creating the mantinada, the improvised rhyming couplet, on Kos as well. During the Ottoman era the soulful aman songs were introduced to the islands. The musical tradition of the Dodecanese has creatively absorbed eastren elements and western influences. thus creating a rich and diverse musical tradition. The musical tradition of Kos also features in this broader context, and in the broader context of the Aegean as well. On Kos the most impressive musical instruments that are still used today at weddings, fairs and other events are the violin, the lute, and the lire. Shepherds would make the tsabouna (a kind of bagpipe) and the piniauli using reeds, and played these instruments when grazing their sheep. The musicians today usually play old tunes, whilst on rare occasions they might add a melodic embellishment or new rhythms. The island's dances have followed a similar tradition. One of the most common dances of Kos is the "sianos", from siganos, which means slow. It is a simple dance with seven steps during which the dancers, man and women, hold onto each other with their arms crossed and dance in a circle. Another dance with more figures and airs is the sousta, a variation on the Cretan dance of the same name, a fast-paced dance with small leaps. The ballo is also danced, dating to the period of Frankish rule, as is the syrtos dance from Constantinople and Rhodos, The kalamatianos, and many other dances. The songs of Kos, as of the other Dodecanese islands, have a diverse subject matter: religion, social issues, history, the family, agriculture, the seasons, weddings, satire, proverbs, dirges, lullabies, and others. At many weddings even today, singers and lyricists sing special songs as the bride and groom lead the dance (the siano), etc. Of those songs which tell a tale, quite widespread are the "stichoplakies" (lyric jokes) which tell of traditions, the émigrés, adventures, life's pleasant and unpleasant events. Cultural events on the island are organised by many bodies, such as the Municipality of Kos Culturale Centre, the Provincial Cultural Committee, the Cultural Committees of the new municipalities of Dikaios and Herakleios and by cultural associations. The Filitas Cultural Circle of Koans. The Lykeio Ellinidon of Kos. The Theokritos Educational Association of Asfendiou. The Apelles Cultural Association of Pyli. 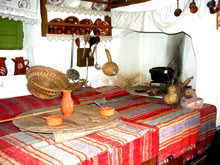 The Proodos Cultural Association of Antimachia. The Argos Cultural Association of Kardamena. The Cultural Association of Kefalos. The Conservation and Nature-lovers Association of Kos. Among the most impressive of the regular events that are organised are the lectures presented by figures from the arts and literature. Colloquia and conferences are organised on subjects relating to local culture. Contests are held in which the young can participate, with prizes being awarded. There are choruses, theatre teams, and dance groups which organise public events. Diaries with themes from popular culture are published. Book fairs, featuring books on the Dodecanese and other subjects, take place.There are trips and guided tours to the archeological sites. Open meetings to discuss the problems of young people are held. Events which help maintain traditional customs are organised. In the past few years some cultural associations, such as the Kos Culturale Centre, the Culturale Centre, The Culturale Centre of the Koans, Filitas, The Provincial Cultural Committee of Kos and others, have published acclaimed works by Koan scholars on the history, culture and traditions of the island. In the summer months the three municipalities organise cultural programmes: The Hippokrateia in Kos town, the Dikaia in the Municipality of Dikaios and the Herakleia in the Municipality of Herakleios. These programmes of events last for 8-10 weeks, with theatrical productions, concerts, traditional dances, art exhibitions, traditional festivals, events organised by Koans from abroad, etc. One event of special importance is the reconstruction of the Hippocratic Oath, which take place at the Asklepieion of Kos in the presence of many of the island's visitors: Young women dressed in white costume and bearing basketd walk in a slow and rhythmic pattern down two groups (6+6) of the first tier of seats in the Asklepieion, whilst in the middle one or two flautists dressed in chitons play a rhythmic piece of music. They are followed by a man crowned with a wreath and carrying a parchment with the Hippocratic Oath written upon it. He is accompanied by two young women dressed in white. When they reach the second level, the basket-holders throw flowers over the altar of Asklepios and seat themselves around the altar. Here, in an evocative atmosphere, the man crowned with the wreath reads out the Oath of Hippocrates. Thanks to Hippocrates, Kos is considered to be the cradle of medicine. Many celebrated doctors of antiquity studied at the school established by the founder of medicine. These include Praxagoras, the best anatomist of the 4th century BC, Dexippos, a student of Hippocrates, Kritodemos, a famous surgeon and the personal doctor of Alexander the Great, Kalippos, who saved the lives of many citizens at Aptera in Crete and was honoured with a golden crown - And Xenotimos, who was also honoured with a golden crown. Filinos, founder of the emperical school of medicine (3rd century BC), was also from Kos. The island's medical tradition continued into the first century AD. Sertinius Xenophon, the personel doctor of the Emperor Tiberius Claudius (AD 41) was from Kos. During the island's acme in the 3rd century BC, the scholar and poet Philetas the Koan founded a philosophical school, from which many great figures graduated. These include Theocritus (whose father was from Kos), the greatest bucolic poet of antiquity, Herondas, the best writer of mimes in the Hellenistic period, and Ptolemy II, one of the most imported Kings of Egypt, who was born in Kos in 309 BC. Apelles (356-276 BC), one of the ancient world's greatest painters, lived in Kos for many years and it was here that he painted some of his celebrated works. His "Aphrodite Rising from the Sea", was one of the best paintings to decorate the Asklepieion of Kos, remaining there for three centuries until the Emperor Augustus took it back to Rome with him when he occupied Kos. The art of the mosaic was highly developed in Kos. The halls of the Castle of Kos are decoreted with some wonderful mosaics. One of the best, with representations of fish, is today on exhibit in the Museum of Kos. Of the island's philosophers, two of the most important were Evimeros (340-260 BC) and Aristos, a peripatetic philosopher of the 2nd century BC. The most well-know Koan historians are Makareus, who wrote the "Koaka", and Sisyphus, who wrote about the Trojan War. They lived in the Hellenistic period, as did Xenokritos, a Koan scholar who is considered to be one of the most important commentators of the works of Hippocrates. There was also a school of astrology on Kos, founded by the Babylonian priest Berossos around 270 BC in order to spread the astrological learning of the Chaldeans. The legislature of the Koans, moreover, was one of the best of the Hellenistic period and many of the laws of Kos were adopted by other cities. Koan judges were often invited by many other islands and cities to give their opinion on certain cases. The education system of Kos was excelently organised. Aside from reading and writing and music, the Koans placed great emphasis on exercise and gymnastics. It is for this reason that many great athletes came from Kos, such as Xenombrotos, who won repeatedly in the horse-races at Olympia (380 BC), Xenodikos, also Olympic victor in the boys' boxing category (376 BC), Filinos the sprinter, who was victor for around ten years (268 BC), Isthmias, Pythias, Nemeas, and others. Among the many other disthinguished athletes were Damokrates the wrestler, the victor in the Boeotian Games (190 BC) and Damoxenes the champion shot-putter. The architecture of the islands has also been effected by the development of tourism, and above all by the erection of so many hotels. The sheer volume of building in the town and the tourist resorts is quite astounding. The architectural appereance of Kos town in the period after the earthquake, with its two-storey buildings with wooden doors and windows painted blue, has changed beyond recognition. Modern buildings have gone up in their place - to meet the needs of the present day, of course, but there is not a single breath of the past about them. Only the historic part of the town called Havouzia, behind the church of Agia Paraskevi, has survived under a preservation order. Asfendiou, too, has been scheduled as an example of traditional architecture, and it conveys some memories of the livestyle, occupations and veracular architecture of Kos. © Nostalgia Travel  / Kos-Info / Culture & Tradition.